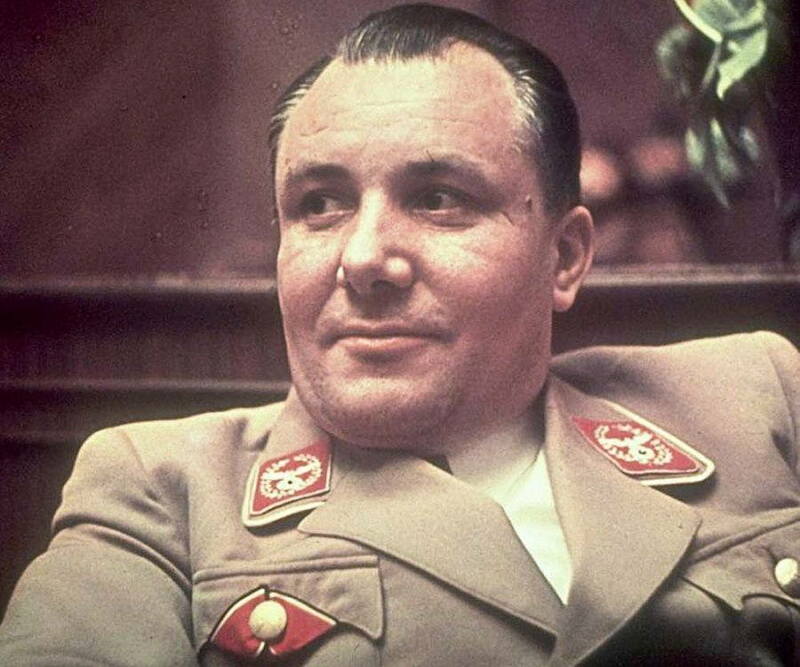 Martin Bormann was the private secretary of Adolf Hitler and head of the Nazi Party Chancellery. Check out this biography to know about his childhood, life, achievements, works & timeline. Martin Bormann was the private secretary of Adolf Hitler and head of the Nazi Party Chancellery. Due to his proximity to Hitler, he enjoyed immense power and influence, so much so that, by the end of Second World War he was the second most important Nazi leader. He joined the Nazi party in 1927 and with his shrewd business acumen, made his way to the inner circle of Hitler. For close to a decade, he served as chief of staff in the office of Deputy Führer, Rudolf Hess. However, in this period, he also caught the Führer’s attention and became his personal favourite in matters of flow of information and management of finance. He began to accompany Hitler everywhere Hitler went and eventually got accepted into the party’s decision making committee, finalising appointments and promotions of officers. Racist and anti-Christian, he lobbied for measures to suppress the Jews and Slavic people, and curbed the power of the Church. He signed the notorious decree of the permanent ‘Final Solution’ for Greater Germany which recommended the ruthless extermination of Jews in Nazi death camps. 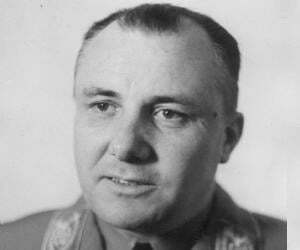 He remained loyal to Hitler till the end and died under mysterious circumstances, trying to flee the Soviet encirclement. At the time of death, he was carrying a copy of Hitler's last will and testament. Martin Bormann was born on June 17, 1900 in Wegeleben, Germany to Theodor Bormann, a Prussian regimental sergeant-major who later became a post-office employee and his second wife, Antonie Bernhardine Mennong. He lost his father at the age of three and soon after, his mother remarried. He also had a younger brother, Albert who grew up to serve as an adjutant to Hitler. He quit his studies at an agricultural trade high school to join the 55th Field Artillery Regiment in June 1918. Those were the last days of World War I. After the war was over, he became the estate manager of a large farm in Mecklenburg. Before long, his racist outlook became evident when he joined an anti-Semitic landowners association. In 1922, he joined the Freikorps organisation in Mecklenburg, headed by rightist Gerhard Rossbach. In March 1924, he was sentenced to a year's imprisonment for being Rudolf Hoss’s partner in the murder of Walther Kadow who had allegedly betrayed the proto-Nazi martyr Leo Schlageter to the French in the Ruhr. Around 1927, Martin Bormann joined the National Socialist German Workers' Party (NSDAP) or the Nazi Party in Thuringia. He worked as Regional Press Officer with ‘Der Nationalsozialist’, a weekly paper edited by NSDAP member Hans Severus Ziegler. With his excellent organisational skills, he soon became the area Business Manager. In October 1928, he became an employee of the SA insurance office in Munich. By 1930, insurance companies were increasingly refusing to pay the frequent claims made by injured NSDAP members. As a remedy, he initiated a relief fund with premiums paid by party members and eventually, could help them receive a coverage when required. From 1928 to 1930, he also founded the ‘National Socialist Automobile Corps’ which oversaw the utilization of donated motor vehicles and training of members in automotive skills. In 1933, he resigned from the administration of the relief fund and took up the position of chief of staff in the office of Deputy Führer, Rudolf Hess. He served as Hess’s personal secretary from July 1933 to May 1941. Also, in October 1933, Hitler named him ‘Reichsleiter’ of NSDAP and in November 1933, he was elected as Reichstag deputy. He gradually became an important part of decision making and gained acceptance into Hitler's inner circle, accompanying him everywhere. In 1935, Hitler assigned him the renovation of his property at Obersalzberg, Berghof. Bormann commissioned the construction of barracks, roads, footpaths, garages, a guesthouse, accommodation for staff and officers, and other amenities at the site. He also commissioned the building of a tea house high above the Berghof, as a gift to Hitler on his fiftieth birthday. While in Berghof, he acted as Hitler’s personal secretary and managed his personal finances. 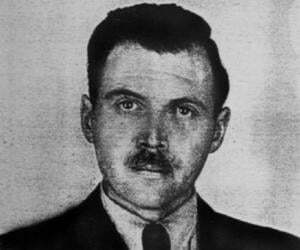 As he gained Hitler’s trust, he started to control the flow of information and access to the Führer. Hitler usually communicated his orders to his subordinates verbally or through Bormann, enabling the later to exercise an advantage over other high-ranking officials such as Joseph Goebbels, Göring, Himmler, Alfred Rosenberg, Robert Ley, Hans Frank and Speer. Martin Bormann set up the ‘Adolf Hitler Fund of German Trade and Industry’, which collected money from German industrialists for Hitler's personal use. He also documented Hitler's thoughts which were published after the war. He gradually became an indispensible member of the party, exercising final say over civil service appointments and promotions. During World War II, Hitler concentrated more on foreign affairs and the war. As a result, Rudolf Hess lost his importance and Bormann effectively usurped his position. On May 12 1941 Hitler abolished the post of Deputy Führer and officially assigned Hess' former duties to Bormann, with the title ‘Head of the Party Chancellery’. In this position, he was responsible for all NSDAP appointments and answerable only to Hitler. Busy with the war, Hitler increasingly relied on Bormann to handle the domestic affairs of the country. On April 12, 1943, Hitler officially appointed him as his Personal Secretary. By then, Bormann had total control over all domestic matters, and this new appointment gave him additional powers. 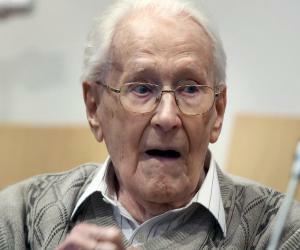 He advocated extremely harsh, radical measures against Jews and prisoners of war. 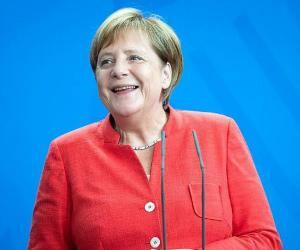 Among other announcements, he signed the decree of October 9, 1942 that recommended the extermination of prisoners in Nazi death camps as permanent ‘Final Solution’ for Greater Germany.. He opposed the introduction of German criminal law in conquered eastern territories in accordance with Hitler’s dislike for Slavic people. As a result, the ‘Edict on Criminal Law Practices against Poles and Jews in the Incorporated Eastern Territories’ was passed in 1941 which legalized physical punishment and death sentences even for minor crimes. He also advocated the brutal treatment of Slavic people in Ukraine and issued a policy to make them work as labourers with minimum food. On April 29, 1945, he witnessed and signed Hitler's last will and testament along with Wilhelm Burgdorf, Goebbels, and Hans Krebs. Soon after, he was named Executor of the Estate. Following Hitler’s suicide on April 30, 1945 he was named Party Minister in accordance with Hitler's last wishes. Martin Bormann’s importance within the Nazi party was unquestionable. 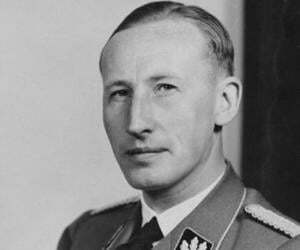 He was the personal favourite of the Führer and served as his Personal Secretary from 1935 onwards. In the span of two decades, he worked his way up to the position of Chief of the Party Chancellery and died as Party Minister. Martin Bormann married Gerda Buch, daughter of Major Walter Buch, on September 2, 1929. Hess and Hitler were witnesses to the wedding. Together, Bormann and Gerda had ten children. He also had several mistresses. On May 2, 1945, in a failed attempt to flee the Soviet encirclement, Martin Bormann and SS doctor Ludwig Stumpfegger were found dead on a bridge near the railway switching yard by Hitler Youth leader, Artur Axmann. The Soviets never admitted to finding his body leading to uncertainty about his whereabouts. 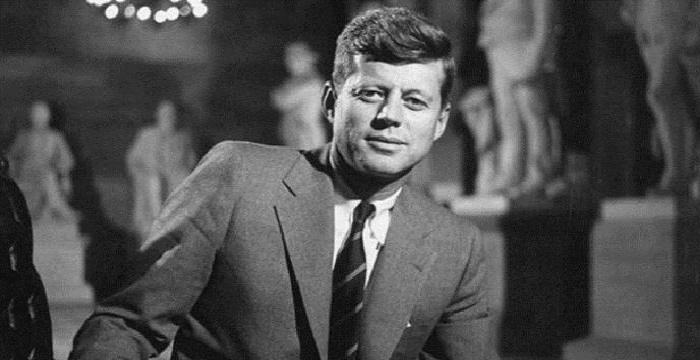 After World War II was over, he was supposedly seen in Argentina, Spain, and other places but could not be captured. He was thus tried in absence at Nuremberg and convicted of war crimes and crimes against humanity. On 15 October 1946, he was sentenced to death by hanging. For more than two decades, several organisations like the CIA and the West German Government kept looking for him without success. Finally in 1971, they gave up their search. On 7 December 1972, construction workers discovered human remains near Lehrter station, West Berlin. This was just a few metres away from the spot where a retired postal worker Albert Krumnow had claimed to bury two bodies on May 8, 1945 on Soviets instructions. Autopsy revealed that the men had committed suicide by biting cyanide capsules. Forensic examiners also established that the size of the skeleton and the shape of the skull were identical to Bormann and Stumpfegger. Facial reconstruction was undertaken in early 1973 on both skulls to confirm the identities of the bodies. Soon afterward, the West German government declared Bormann dead. Genetic testing on fragments of the skull was conducted in 1998 and it confirmed the skull as that of Bormann. His remains were finally cremated and the ashes scattered in the Baltic Sea on 16 August 1999. Gerda Bormann survived the war but died of cancer on 26 April 1946, in Italy. The children grew up in foster homes.